Killing Season is Death Angel's second collection of brand new studio material since getting back together in the mid-'00s, and many observers may reasonably presume that its timing really couldn't have been better for coinciding with a genuine, worldwide thrash revival. But, ironically, while legions of new millennium kids who were still wearing diapers in 1983 are assiduously trying to replicate that original sonic template to the letter; the original precocious teens of thrash (drummer Andy Galeon was famously just 14 when Death Angel released their first LP) have not surprisingly matured and moved on with their art over the past 20 years. So it should be no surprise that Killing Season, like the group's 2004 comeback, The Art of Dying, is a thoroughly modern heavy metal album, with selected hallmarks of old-school thrash (and a few other musical styles) seamlessly woven together under the watchful eye of highly successful mainstream producer Nick Raskulinecz (Foo Fighters, Velvet Revolver, Rush, etc.). Indeed, Raskulinecz seems to complement Death Angel as well Bob Rock initially did Metallica; editorializing the quintet's instrumental prowess (and excesses) into ear-catching but thankfully still heavy new tracks like "Dethroned," "Soulless," the unexpectedly infectious closing epic "Resurrection Machine," and most surprising of all, "Steal the Crown," which sounds like something that highway groove rockers Fu Manchu might compose. Having said that, even genre loyalists unable to stomach any deviation from traditional thrash aesthetics are catered to via whiplash-inducing afterburners like "Sonic Beatdown" and "Carnival Justice" -- not to mention superlative hybrid offerings like "Lord of Hate," "The Noose" and "Buried Alive," which culminates in some especially serious moshing. 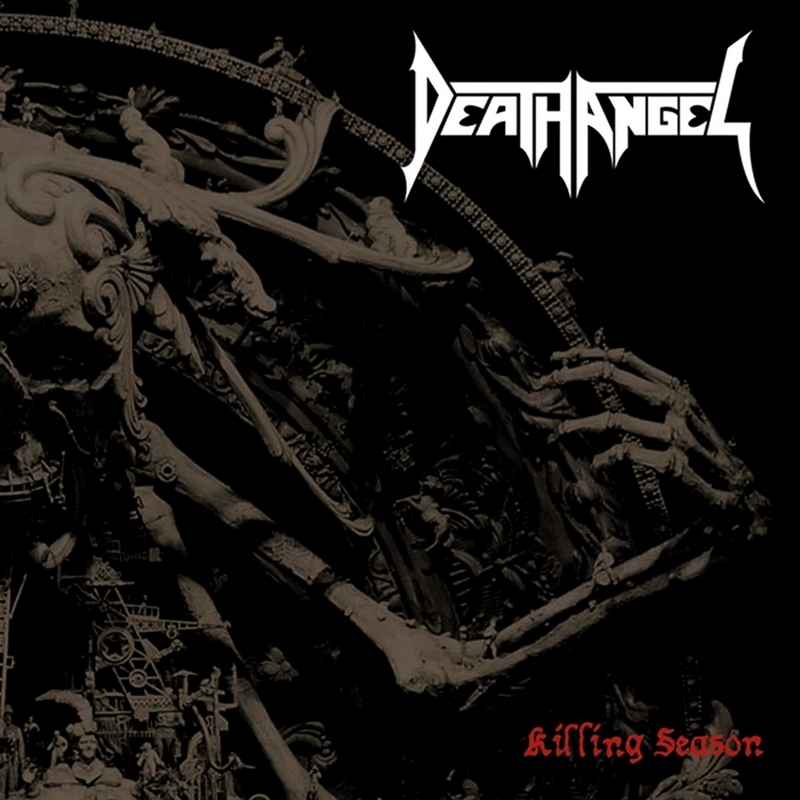 At the end of the day, the bottom line is that Killing Season lends more validity to Death Angel's re-formation than would a straightforward rehashing of glories past, and one can only hope that their original fans will accept that, even as new ones are welcomed into the fold by great albums like Killing Season.